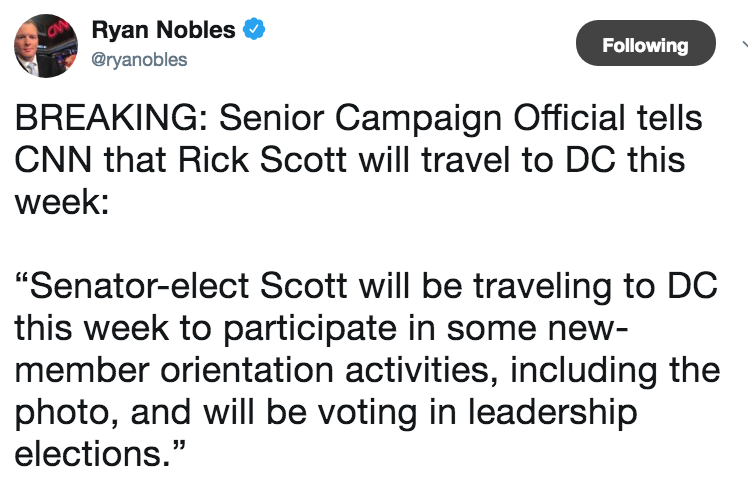 Senator-elect Rick Scott is gearing up for his first trip to Washington since winning the election for new-member orientation (including the photo and voting in leadership elections) with plans to get started on his mission of reforming D.C. and making it work for Florida families – not career politicians. 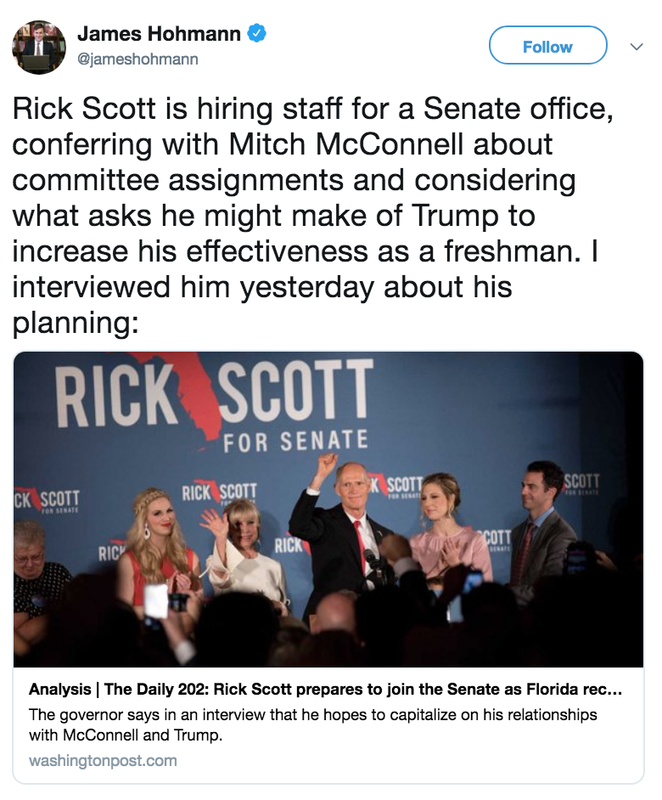 And speaking of career politicians, after a decades-long career and consistent claims of being an “independent voice,” Bill Nelson seems to have handed the reigns over to his D.C. lawyer. After all, from desperate spin to laughable lawsuits, we’ve heard more from Mark Elias in the past three days than most Floridians have heard from Bill Nelson in years. But hey, whatever helps pile up those billable hours! Which raises the question: where is Bill Nelson? What has his campaign been doing? You’ll notice, his campaign hasn’t been a party to any of the lawsuits filed by their side. They’re filed by the liberal groups controlled by Chuck Schumer and the only person speaking publicly is his DC lawyer Marc Elias. We’ve seen some proof of life videos from Bill Nelson, but other than that, we have no idea where he is. Do you? “So what’s gonna happen on Thursday is this machine recount is gonna be complete. Bill Nelson’s gonna still be far behind and he’s gonna face a choice… His lawyer gets paid a lot, they get billed by the hour, they’d like to do this all winter but Bill Nelson has a legacy to think about. He’s been in politics since I was two-years-old. 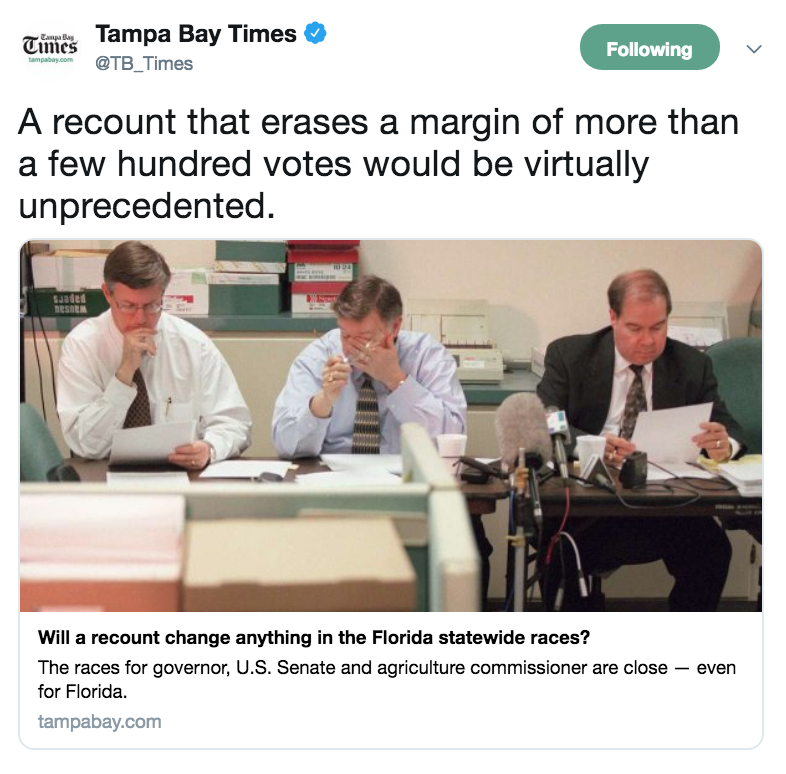 And your usual reminder: Governor Scott won the election by a margin that is mathematically impossible to close without fraud and Bill Nelson can decline a recount at any time.